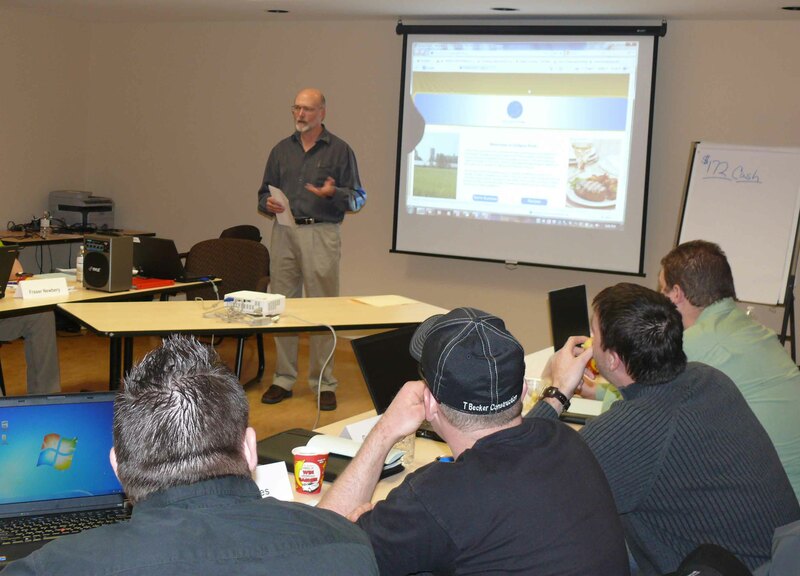 Producers come to learn about managing production. The OMAF and MRA February Swine Budgets are now available on the OMAF and MRA website. There’s still time to register for the London Swine Conference. The registration deadline has been extended to March 22, 2013. No registration at the door so call 519-482-3333 or email linda.dillon@ontario.ca today. 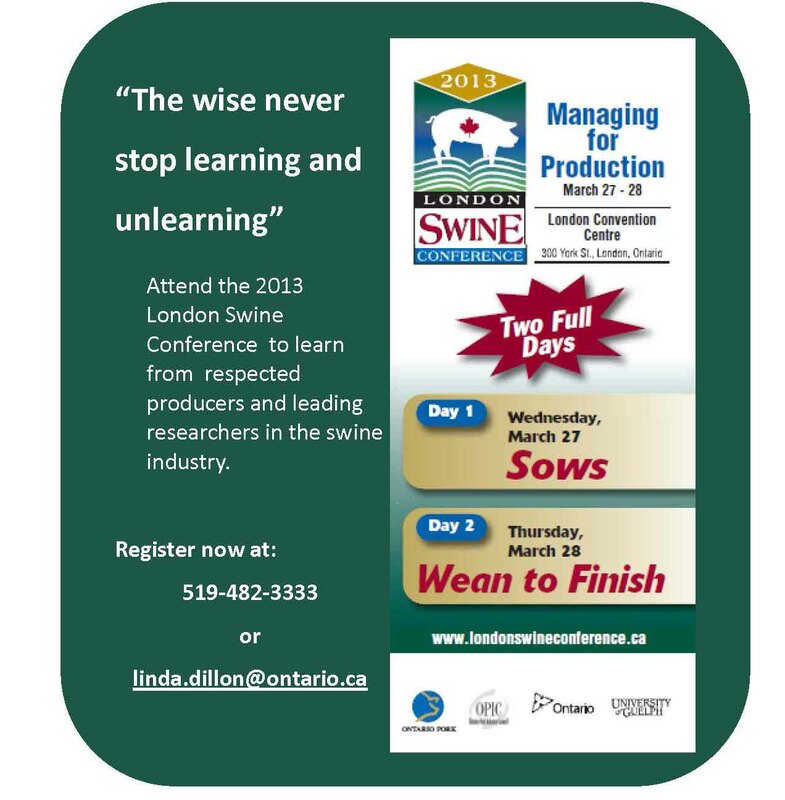 Visit the London Swine Conference website for details. 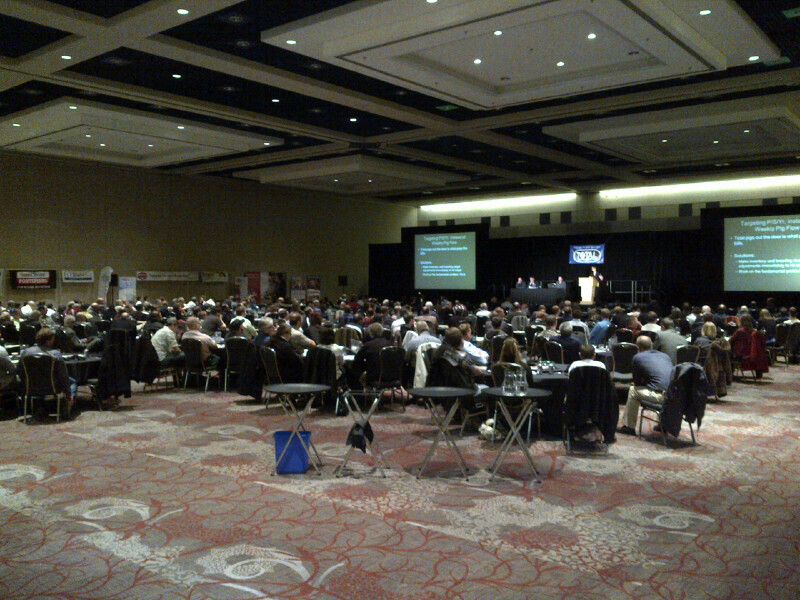 Swine producers can select a full day of presentations designed to fit their farm operation at this year’s LSC. The program will target sow herds on Wednesday, March 27 and wean to finish on Thursday, March 28, 2013. “Our line-up of speakers and sessions are intended to make you think, get engaged and discover new ways of doing business.” says Conference Chair Stewart Cressman. Both days of the conference will include a panel entitled “Top Profit Robbers”. In these sessions well respected producers and production experts will share their thoughts on which aspects of production should command the most management attention. With ample opportunity for audience participation, these panels are sure to provide useful insight to better management on farm. The focus on sows will include topics from preparing the barn and nutrition through to managing pre-weaning mortality. Big picture thinking in the areas of genetics and consumer perceptions will be presented, as well as practical current research on lactation and new herd performance indicators. Some presenters included in the sow program are: Jenny Patterson and Soenke Moehn both from the University of Alberta; Bob Friendship, University of Guelph; Peter Davies, University of Minnesota; Mark Chambers of Sunterra; Walter Hurley, University of Illinois. Day two will conclude with a presentation entitled “Plenty to Think About”, which will discuss steps to ensure that a global supply of safe, affordable and abundant food can become a reality in our lifetime. Conference fees are $135 per day which includes one copy of the proceedings, a reception on March 27th, continental breakfasts, lunches and all coffee breaks. Discounts are available for groups of five or more who register and pay together. Registration deadline is March 22, 2013. Please note that there is no registration at the door. Survey results of rates charged in 2012 by 250 Ontario custom farmwork operators are now summarized on a provincial basis and also by 6 smaller regional areas. Where available the provincial average 2009 rates are also listed. New in 2012 – rates for Vertical tillage, Zone tillage and Tedding. 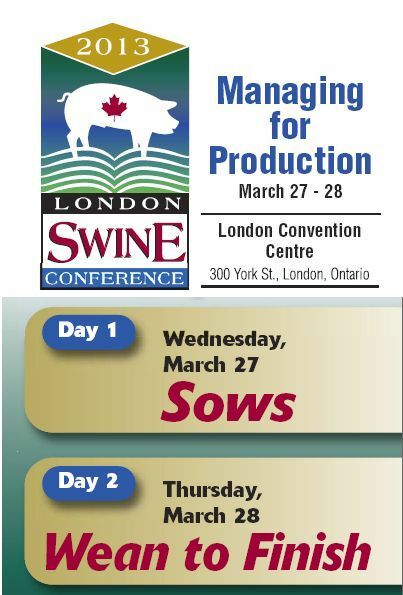 Managing for Production is the theme for this year’s London Swine Conference. Wednesday March 27 focuses on sows production and Thursday March 28 focuses on wean to finish. Check out the conference website for all the details.